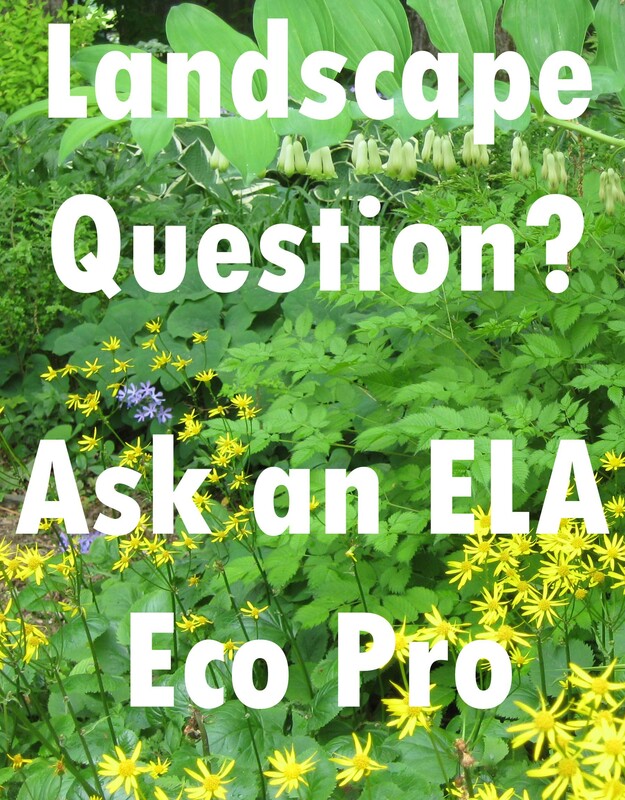 ELA sponsored a series of three hands-on eco-workshops in Santa Cruz, CA, during the fall of 2011; each presented by a different local landscaper: Native Plants: The Low Tech Landscape Water Conserving Solution, Darrin Miller of Central Coast Wild; Greywater Clarified, Ken Foster of Terranova; and Rainwater Harvesting, Golden Love of Love’s Gardens. 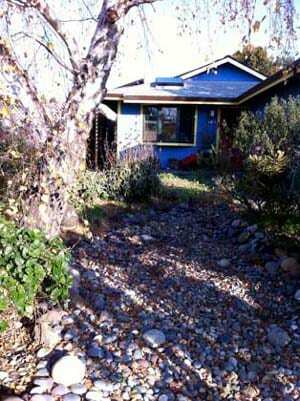 To limit the flow of storm water from the house, underground rain drains channel rainwater to an infiltration gallery covered by a dry creek bed. Santa Cruz is in Central California on the Monterey Bay, a National Marine Sanctuary. The temperate Sequoia sempervirens rainforest ecology of the Central California coast alternates between cycles of drought and flood. But global climate change appears to be deepening the effects of both extremes. The “100 year storms” now battering the coastal town every few years result in flooding of city streets, with polluted storm water flowing into the fragile ecosystem of the bay. The city has hired a climate change coordinator to help the community prepare for already evident, and worsening, climate chaos, with its increasing probability and severity of both floods and drought. 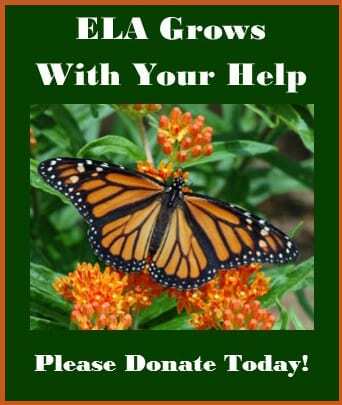 Residents are being encouraged to conserve water by substituting native and drought tolerant landscaping for water guzzling lawns. The city planning department now allows installation of “laundry to landscape” greywater systems without requiring homeowners to go through an expensive permitting process. And rainwater harvesting projects that keep rainwater on the property and off the streets are being encouraged for existing homes and mandated for new construction. 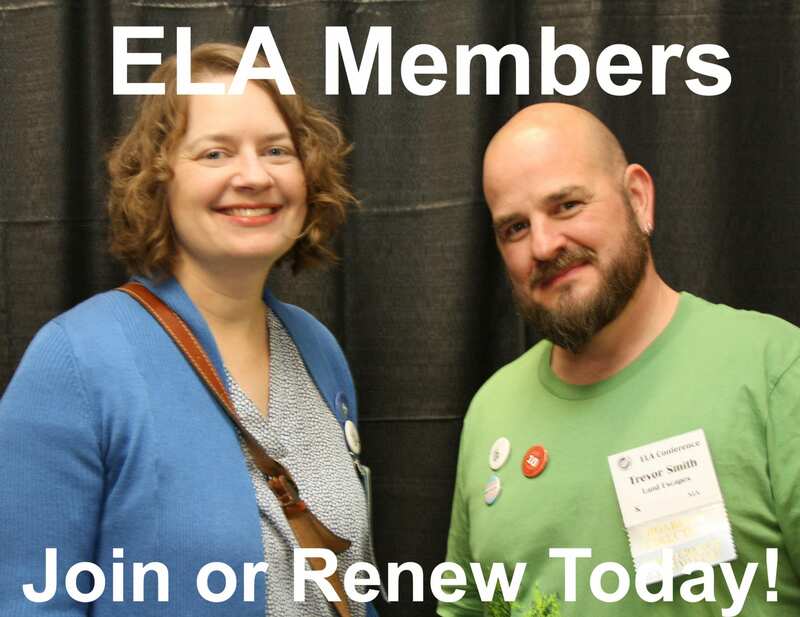 In September, my husband, Joe Jordan, and I received an email announcing the three ELA workshops, and inviting volunteers to offer their homes as demonstrations sites. 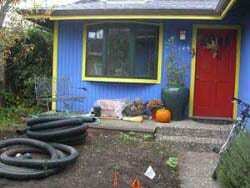 We responded that we would be interested in participating in the rainwater harvesting project. Since 2000, we had done an energy retrofit – updating insulation; replacing all the old aluminum frame windows with high quality double pane, low-E windows; and installing solar electric and hot water systems. 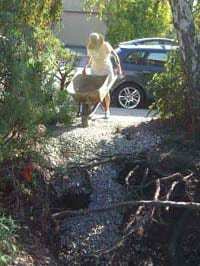 We also established a permaculture style organic garden in the backyard, and taken out the front lawn and planted natives and drought tolerant landscaping. 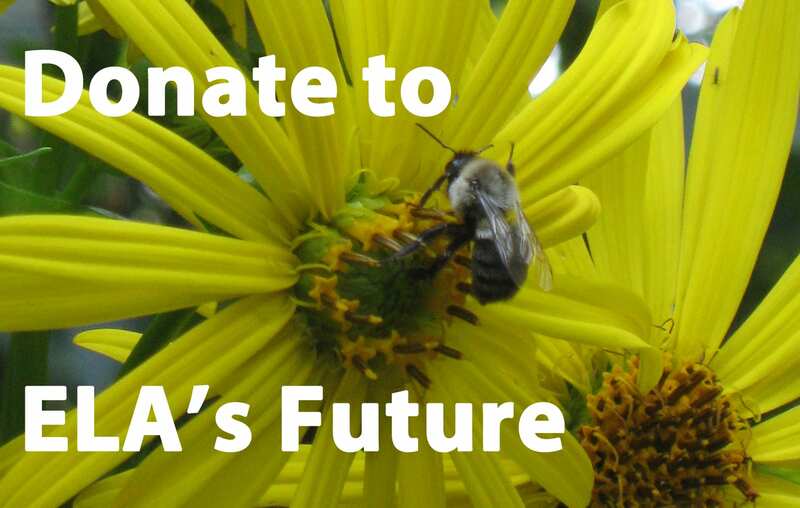 This year, we were more than ready to do something about our rainwater. Golden Love made a site visit and determined that our property would be a good choice for the project. And then the learning adventure began! Our home is a small two bedroom, one bath stucco cottage built in the 1960’s. Situated a few blocks from the bay, our house is in the “fog zone” much of the year, and the water table is very high. 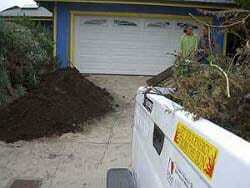 These two factors lead to a great deal of moisture intrusion into the house. When the house was constructed, the weep screed and bituthene technology commonly used today to protect the footing of a stucco building from moisture was not available. So, our stucco house has always just wicked up the wet, which has seeped through the walls, creating a constant threat of mold. Six downspouts drop the rainwater directly at the foundation. On good years, we’ve managed to put plastic sleeves over the drains during the rainy season, channeling water out into the backyard and, in the front, down the driveway and into the street. But usually, during particularly severe storms, the sleeves slip off and all the stormwater dumps right down at the foot of the house. On the day of the workshop, black corrugated drain pipe and other materials are assembled. 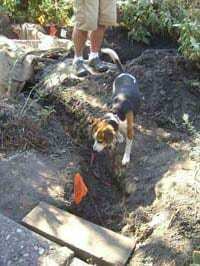 Walking the perimeter of the house with Golden, a design plan began to emerge. The rain gutter on the northeast side of the house, flowing toward the backyard, seemed perfect for a rain barrel. We learned that the city of Santa Cruz was giving generous rebates to residents who purchased rain barrels, so we put ourselves on the list for the next shipment of a 60 gallon barrel. The two rain gutters running along the east side of the house toward the front had been causing serious flooding into our garage. Rainwater regularly pooled along that side of the house and seeped through the stucco, flooding the ground level cement garage slab. 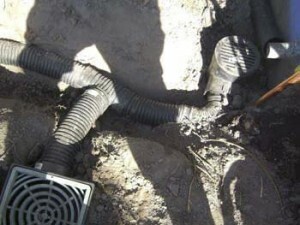 A few years ago, we had a contractor successfully mitigate that problem. 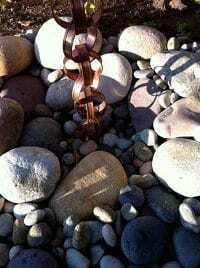 He installed bituthene and a weep screed along the foot of the stucco where the cement garage slab runs, and ran a drainpipe underground from the two downspouts out to a percolation pit next to the driveway, with overflow weep holes under the sidewalk to the street. This left three downspouts dropping water to the foundation at the west side and front of the house. Golden determined that these three rain drains would present a perfect design problem for the upcoming hands-on rainwater harvesting workshop. Brush is cleared and the percolation pit excavated prior to the workshop. Workshop participants met at Golden’s home, located near our own, early on the morning of the workshop. We browsed design portfolios and reference books about rainwater harvesting as we fortified ourselves with tea, fruit, and biscuits. Golden highly recommended his favorite rainwater references by Brad Lancaster http://www.harvestingrainwater.com/books/. 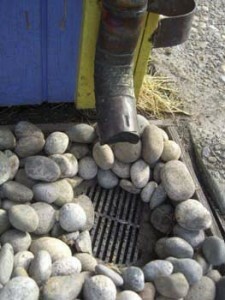 (View a delightful rainwater harvesting video by Lancaster at http://www.youtube.com/watch?v=k9Ku_xpyLK4Everyone). Then he presented an informative slide show about rainwater harvesting. There were examples of the many options for both small-scale and large-scale, low-tech and high-tech rainwater harvesting systems, as well as technical information regarding calculation of flows and holding capacities. Everyone received a copy of the book Slow it. Spread it. Sink it! 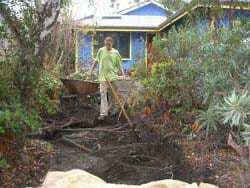 A Homeowner’s Guide to Greening Stormwater Runoff, published by the Santa Cruz County Resource Conservation District. As drought and pollution become the norm and transnational corporations vie to privatize the earth’s water, we discussed the need for new water paradigms; the “ditch it, drain it, dump it” attitude toward ground water needs to shift to “slow it, spread it, sink it”, as humans reclaim their life-giving water rights. And a guest demonstrated Image J, public domain software that can be used with Google Earth to easily draft accurate architectural plans and create water neutral designs. 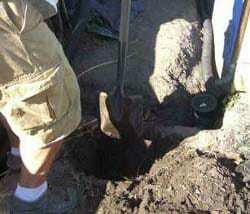 Excavation proceeded carefully around the roots of a white birch tree. By late morning, the rainwater harvesting workshop was ready to move into the field. We left Golden’s home and took a walking tour of the neighborhood, to see local examples of rainwater harvesting projects already installed. The walking tour ended at our house. People ate a picnic lunch in our front yard while Golden oriented everyone to the site. He pointed out that the top of the infiltration gallery and the sidewalk were lower than the foundation of the house, allowing for drainage away from the house. He explained that the sidewalk would function as a “check dam”, allowing water to spill over onto the street, in the event that the infiltration gallery ever filled up during a severe storm. When lunch was over, everyone dug in! Golden teaches workshop participants how to measure slope. People rotated freely through the different tasks, so everyone had a chance to experience each part of the project, hands-on. One group carefully measured and adjusted the slope of the drainage ditches, assuring that there was at least one half-inch of slope for every foot of run. Another group dug holes deep enough to properly seat the catch basins and lined the holes with heavy-duty pond liner, to assure that all rainwater would collect into the catch basins. Others made sure all the pipes and fittings were securely connected. Workshop participant digs the hole for the rainchain catchment. A catchment filter is placed under the corner rain spout. Tee and Elbow connectors link the corner drain and rainchain catchment filters. From the rainchain catchment box, the drainpipe turns the corner and flows along the fence line to the infiltration gallery. Workshop participants step cautiously around the maze of drainage ditches. Workshop participants fill the infiltration gallery with drain rock from a mountain of stone on the driveway. 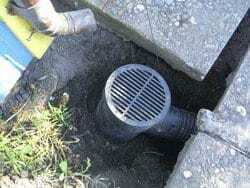 All three drains collect in the inspection box, which flows into the infiltration gallery. Golden placed the Carson inspection box, connected to the drainpipes, at the head of the infiltration gallery, so that it would always be possible to check that the drainage system was functioning properly. All three drains collect in the inspection box, which flows into the infiltration gallery. 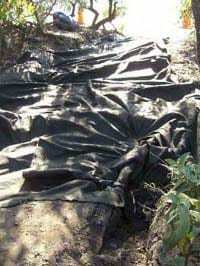 Drain rock in the percolation pit is covered with filter cloth to protect the integrity of the drainage from decomposing organic debris. 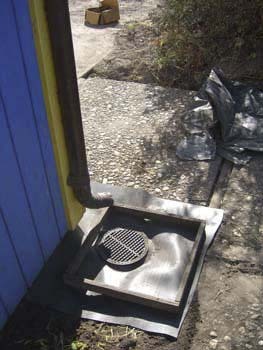 The catchment filter is placed at the front corner of the house, and drainpipe is run under the walkway. 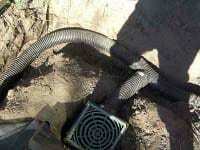 Pond liner is cut and placed over the drainage area to insure that all rainwater will collect in the catchment filter. The catchment filter is covered with decorative river cobbles. 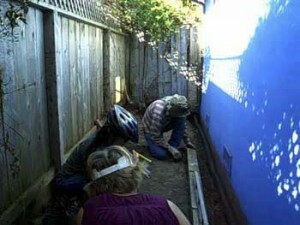 The group working at the infiltration gallery exuberantly shoveled gravel into wheelbarrows and began to fill the pit. People worked diligently with great dedication and energy until late afternoon. The huge hole in the front yard gradually filled. We were humbled and filled with awe to experience the generosity of the people who labored, helping us to create our rain garden. It did take another few days after the workshop for our hired laborer to help us finish completely filling the percolation pit with drain rock. 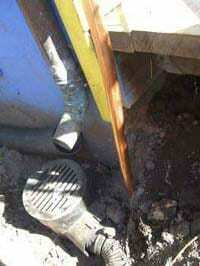 Once the drain rock was in place, we covered it with filter cloth, to maintain the integrity of the drainage. 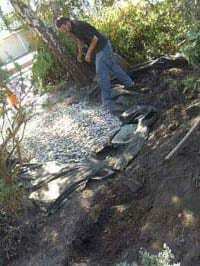 Finally, we created the look of a beautiful “dry creek” meandering through our front yard by covering the filter cloth with a mixture of small and large river cobbles and multicolored Mexican river cobbles. The gutter man came to install our new rain chain and, the next day it rained, hard. Our foundation stayed dry. The street flooded, but it was satisfying to realize that the rain falling on our property was percolating into our garden, not flowing out the storm drains into the bay. Rain falling on river rock is beautiful! Mary Flodin is an artist, web designer and writer, and the owner of BC,AD art and design studio. Her poetry has appeared in various small presses, and her photos and essays in arts and crafts journals. Mary is an avid organic gardener and permaculturalist, and an active participant in the Transitional Communities movement. She is currently working on a story about agroecology versus the pesticides methyl bromide and methyl idodide used by the California strawberry industry. Mary may be contacted via her website, http://www.bluebirdcreek.net.